It's that time of year when everyone feels the need to get organized and I am not different! 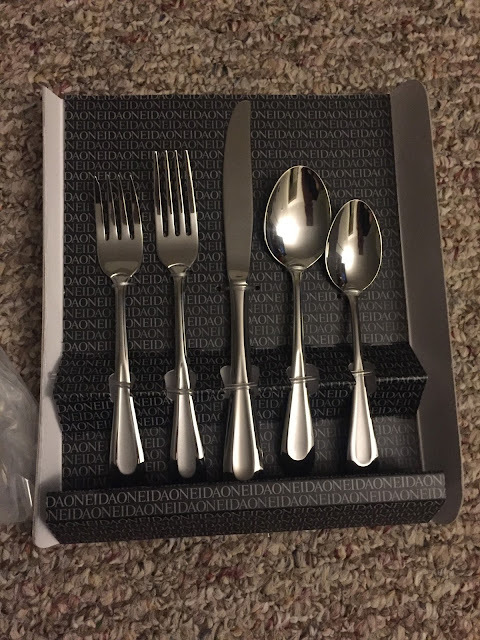 For Christmas we received a new silverware set and some new dishes so I thought a great place to start would be in the kitchen. Here's our new silverware which is great since we had very limited silverware before. 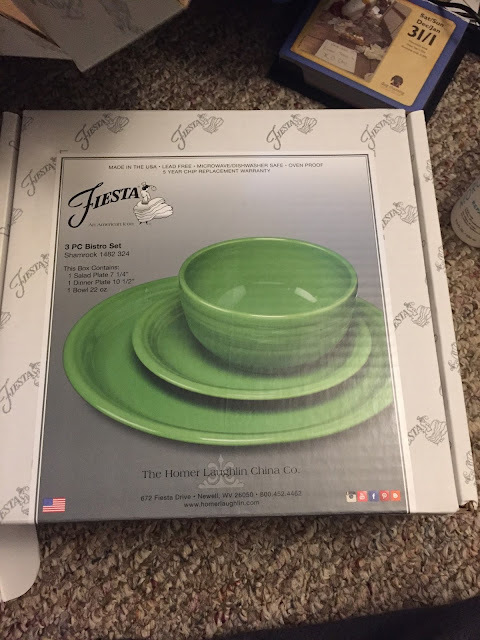 We also picked out some Fiestaware sets in Tim's favorite color! I love Fiestaware plates because they are simple, heavy duty and last forever. I can't wait to add other colors in the future. 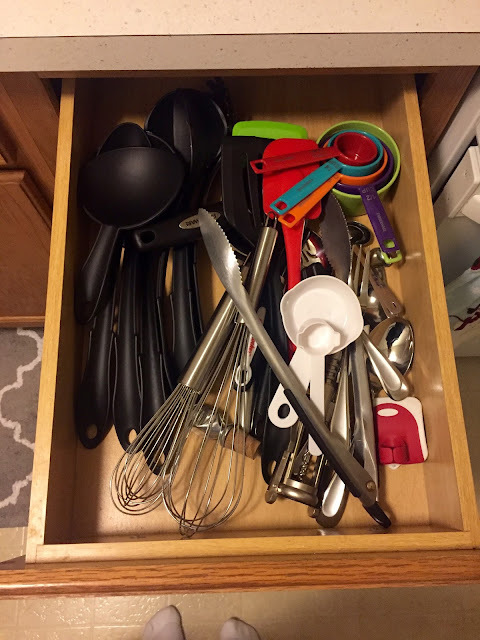 Here's what our kitchen utensil drawer looked like before. What a crazy mess! 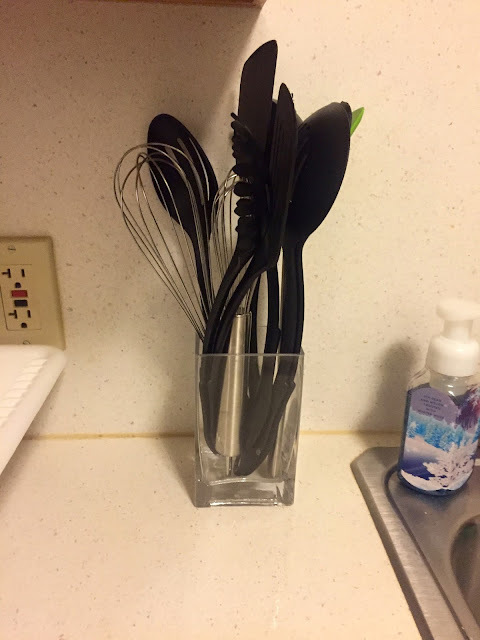 We don't have a ton of items and are still building our home together and purchasing items for our kitchen but there were still plenty of items cluttering up that drawer and no organization in place at all. I pulled out a vase and out all of the tall utensils inside. We don't have much counter space but I was willing to give a little up to organize items a little better. 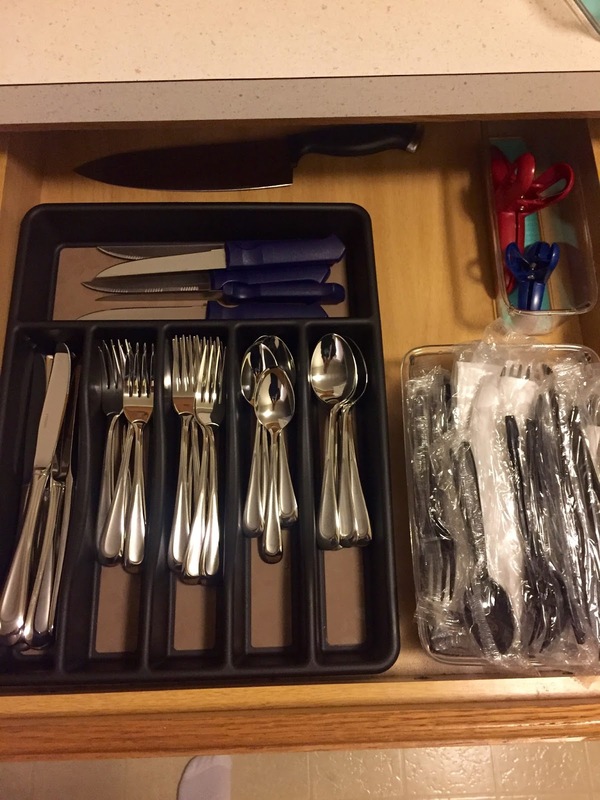 Our silverware drawer was revamped and reorganized. It looks so much better and the new silverware looks amazing! Ta da! 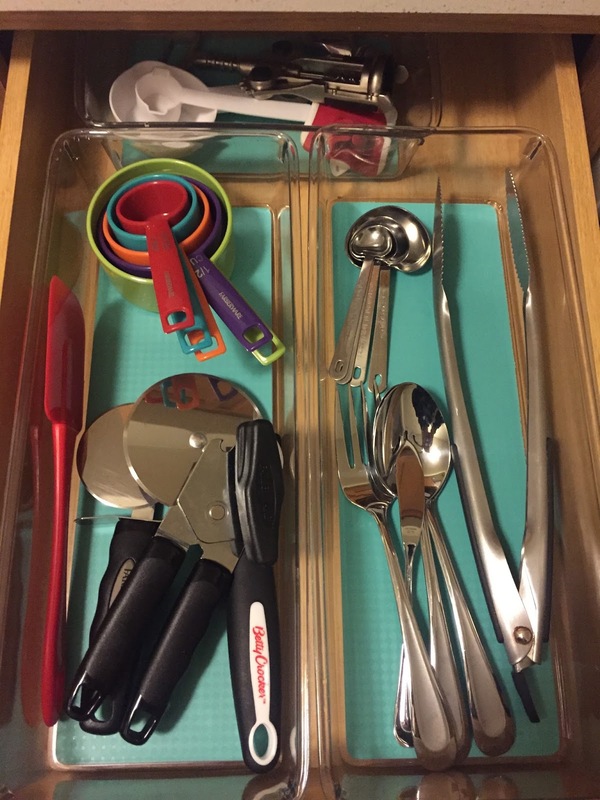 My new utensil drawer! Doesn't it look great? 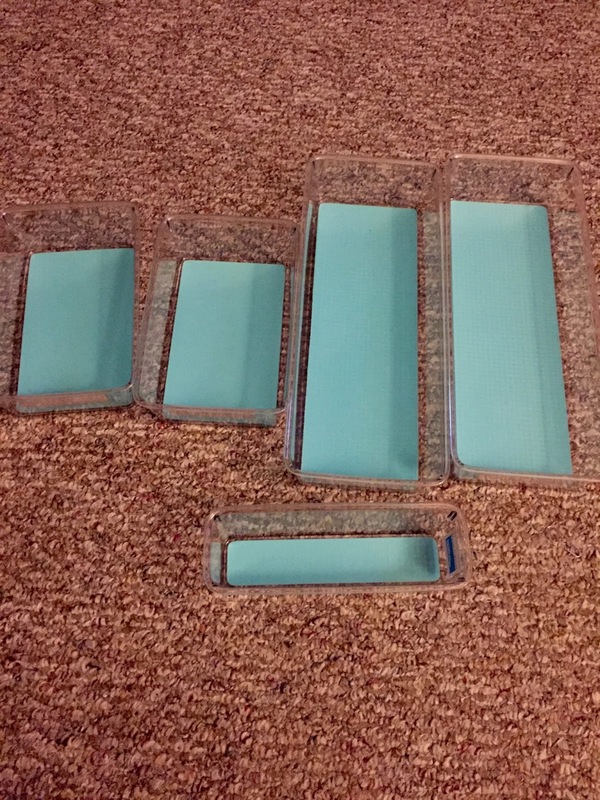 I love the blue bottom containers and I think it will be easy to keep up with. Even if items get moved around they at least have sectioned off areas. These are the containers I used for this project. I purchased them at Target and while they weren't super cheap I was willing to pay a little more for them since I know they will last a long time and I absolutely love the pop of blue in my drawer! What are you going to organize this year? I have a lot of projects I'm planning and hope you'll be organizing along with me!